After receiving unanimous accolades from our travelers, we do not want to lose the momentum for this unusual Tour which embraces two major opera festivals on Italy’s Adriatic coast in the late summer: the Macerata Opera in the spectacular outdoor Teatro Sferisterio, and the Rossini Festival in Pesaro. Macerata and Pesaro are both small Italian towns that invite you to walk through the charming streets to discover the artistic riches and intrinsic allure of this relatively unfamiliar region. This will mark our fourth consecutive pairing of these two festivals. We will begin our Tour in the unspoiled hilltown of Macerata, where the extraordinary Teatro Sferisterio is the setting for a season of outdoor operas, similar to Verona but in a unique theatre with even better sight-lines. The repertory is usually drawn from the most popular and well-known operas, making an ideal balance with Pesaro. Our four-nights in Macerata this summer will encompass a trio of productions of favorite works from the grand tradition of 19th century Italian opera – Giuseppe Verdi’s Aida and two of Giacomo Puccini’s beloved masterworks – Madama Butterfly and Turandot. Immediately following Macerata, an easy bus transfer will take us to the Adriatic coastal town of Pesaro, home of the internationally renowned Rossini Festival which has established an enviable reputation for mounting many of the composer’s unfamiliar works – such as ‘Ermione’, ‘Armida’ and ‘Bianca and Falliero’. The past decade has also included notable productions of Rossini’s most popular works, such as the challenging ensemble comedy ‘Il Viaggio a Reims’, the buffo comedies ‘La Cenerentola’ and ‘Il Turco in Italia’, and the seldom encountered ‘La Donna del Lago’ and ‘William Tell’. The program for 2017 during our four-night visit to Rossini’s birthplace is also exceptional and will include all three of this year’s major productions: a revival of Il Viaggio a Reims; a new production of the lyric tragedy The Siege of Corinth; and the rarely encountered melodrama Torvaldo e Dorliska. Our excursions will include day trips to Ravenna to view the priceless early Christian mosaics; and to the village of Recanati, where the Museo Gigli preserves the memory of their most famous native son Beniamino Gigli. 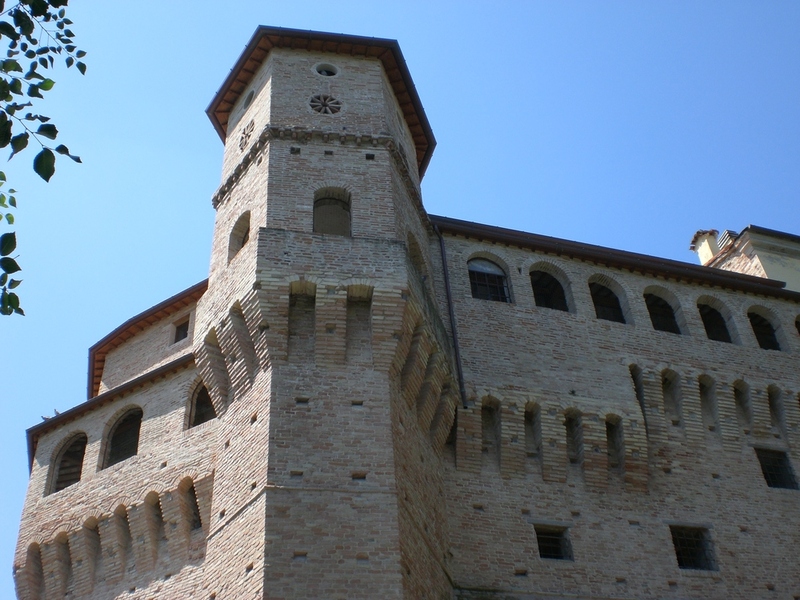 En route between Macerata and Pesaro, we plan to stop in the town of Jesi to visit the exquisite Teatro Pergolesi. For our imaginative travelers who are searching for something unusual, away from the obvious Italian cities, we strongly recommend this blend of Rossini’s multifaceted genius with the thrill of Macerata’s expansive staging of the most beloved of all Italian operas. In Macerata, accommodations for four nights with a generous buffet breakfast included at the Hotel Arena, a small first-class hotel located in the center of the old town on Vicolo Sferisterio, a stone’s throw from the Teatro. The Arena is efficiently managed with friendly personal service and is very much in demand in Macerata, as there are hardly any other hotels within the confines of the hilltown. The rooms are simple, but are air-conditioned and contain most modern conveniences. The Arena has a comfortable breakfast room and a small bar/lounge area. There are several restaurants within easy walking distance. In Pesaro, our accommodations are for four nights with buffet breakfast included at the seaside Excelsior Hotel, located directly across the street from the town’s Adriatic beach and containing an excellent restaurant. We are fortunate to have secured early reservations at this five-star ‘spa hotel’, which ranks among the finest of the resort properties on the coast. The spa offers a full service of massage treatments, sauna and exercise equipment. The ’59 Restaurant serves outstanding local menus.